Malaysia has a number of islands for beach vacation especially when it comes to East Malaysia with beautiful islands with pristine beaches like Sipadan, but the usual hitch that we have is the hefty price that we need to pay to fly all the way to Kota Kinabalu, and take a boat to the island and the resort is costing a bomb. But of course other than Kota Kinabalu, we have a lot of islands in Peninsular Malaysia as well, the names that always come to mind are Pulau Redang, Pulau Pangkor, Pulau Tioman and so on, if we skew it further down, we have Port Dickson too! But do you know about Damai Laut? While I’m strolling through Traveloka, an interesting website for all travelers to dig into good deeds and deals, I found and read reviews om Swiss Garden Beach Resort Damai Laut online. The price for one night stay is only starting from RM207.55 and the rating is 8/10 for over 101 reviews on Traveloka. There are several offers with different room selection at Traveloka, you can choose to book Room Only or Room with breakfast with a slightly price difference. An interesting fact about Swiss Garden Beach Resort Damai Laut is the resort is overlooking Pulau Pangkor and it has a truly magnificent view of the enchanding Dindings River estuary as the backdrop. Not persuasive enough? The resort is revolves with lush tropical surrounding from Teluk Kopiah Forest reserve. I called it 2 in 1 resort. You can beach and you get forest, it’s even better than going out to an island. The are 290 rooms in the resort and most of them are elegantly outfitted, you can premier amenities in the room and all rooms come with private balconies overlooking spectacular view of the sea or tropical forest surrounding. Good for Couple Anniversary. Good for Family Vacation. As a guest of Swiss Garden Beach Resort Damai Laut, you get to host and access to a lot of leisure facilities such as the award winning 18 hole championship golf course, free-form swimming pools, a private beach, recreation centre, a gymnasium, sauna, Jacuzzi, Kids Club, a Water Sports centre and the rejuvenating Samsara Spa. They offer team-building courses too. Swiss Garden Beach Resort Damai Laut offers Island Hopping, Snorkeling, Fish Feeding activities and also you can choose to take their Pangkor Drop services. – RM80 nett per adult. – RM50 nett per child (5-12 years old). – Inclusive Round Island Tour of Pangkor by van. – Attractions Tour included Mini Great Wall, Dutch Ford and Satay Factory. Looking for nearby Land attractions? Traveloka has listed a few other nearby attractions on land such as Condong Monument, Kellie’s Castle and Funtasy House Trick Art. How to get to Swiss Garden Beach Resort Damai Laut? You can get to the resort by land transportation via the North-South Expressway, it’s about 3 hours drive from Kuala Lumpur and you get to enjoy a scenic leisure view while you’re on the road trip. Or alternately you can choose to take a coach ride from Kuala Lumpur to Manjung or Lumut. The nearest airport to get to the resort is Penang International Airport, there are a lot of flight frequents from Kuala Lumpur International Airport (KLIA) or Subang Airport (SZB) to Penang. And it takes approximately 2 hours drive from Penang to the resort. Another nearest airport to the resort is Ipoh Sultan Azlan Shah Airport (IPH), it takes approximately 2 hours drive as well. Are you planning a weekend getaway? Sounds attempting? Hit the link here Swiss Garden Beach Resort Damai Laut to book your stay today! 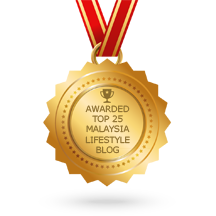 Previous Post GoBear tells you BEST Credit Cards in Malaysia!